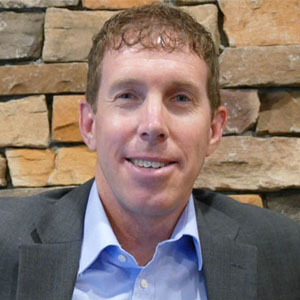 Andy Ellison is the President & CEO of Mountain View Bank of Commerce headquartered in Westminster, Colorado. Follow them on Facebook and LinkedIn and learn more at MVBofC.com. We help businesses and our community achieve and sustain economic success. We believe that by helping business owners succeed we can help our community, the state of Colorado, and even the world. When a business is successful, it hires more people and more vendors and creates wealth for its owners, employees, and vendors. In short, we believe we can make the world a better place. In addition to helping businesses and our community be economically successful, we also work hard to be good corporate citizens. We have a program called Make A Difference (MAD) Day. The entire employee base breaks up into three teams. Each team chooses a leader and a nonprofit organization for which they want to volunteer. They then schedule 4 – 8 hours of volunteer time while on the clock. We pay them to go help nonprofits in our community several times each year. Another great example of a way we give back is our recent partnership with A Precious Child and the Lee & Debbie Stuart Family Foundation. The Foundation and the Bank partnered to make a sizable donation for the Precious Gift campaign which helps put presents under the tree for underprivileged children who might not otherwise get anything for the holidays. However, at Mountain View Bank of Commerce, we generally prefer to be very active with any financial donation. We became a major drop off site for people who purchased gifts for these kids. We also became a place where people could pick up the gift “wish list” for quite a few of these incredible youngsters. With the help of our community and our team, we filled four giant trash bins to overflowing with gifts for underprivileged children this past holiday season. It’s been truly amazing to see the team take pride in each of their MAD Days. They cheer each other on and they go out of their way to cover each other’s work responsibilities when they’re volunteering. Our younger employees have been especially impacted and impactful with this effort. We have even had prospective employees seek us out because of our MAD Days. Perhaps more amazing is the impact that we have been able to deliver to a host of organizations including CASA, the Metro North Chamber of Commerce, A Precious Child, Broomfield Fish, Boulder County Care Connect, Mountain Range High School DECA Program, Project Angel Heart, and the Butterfly Pavilion – to name just a few of the incredible institutions that we’ve helped with hundreds of hours of volunteer time. We want to continue to grow our efforts to help local businesses be economically successful while at the same time helping nonprofits. It is our sincere dream that we can do great things and have great outcomes for all of our stakeholders including our team, our clients, our shareholders, and our community. We’re changing the world one business and one volunteer effort at a time. We need to continue to focus on growing our organization profitably and sustainably. Right now, finding great people who love to work hard and do great things is a real challenge. That said, when we do find the right fit for a team member, it is really fun to watch them grow and develop as human beings and team members. Find something that fits for you and your team and then dedicate the necessary resources including time, money and brainpower, to make it happen. If it comes from the heart, you’ll find a way to make an impact. First and foremost, volunteer and give back to your community. We would also love to help you and your business achieve and/or sustain economic success with our full range of banking products including deposits, treasury management, loans, and mortgages. Lastly, we occasionally have volunteer opportunities that are so large that we need help from the community to fulfill the need. Watch our social media channels for opportunities to volunteer with us on one of our MAD Days!